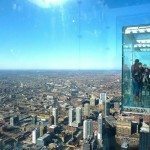 Chicago is a city I’ve seen from different perspectives; as a solo traveller, for work, backpacking as a couple and later with my little family. Each time I visit it’s like arriving with fresh eyes and falling in love with it all over again and it’s even better when visiting Chicago with kids. 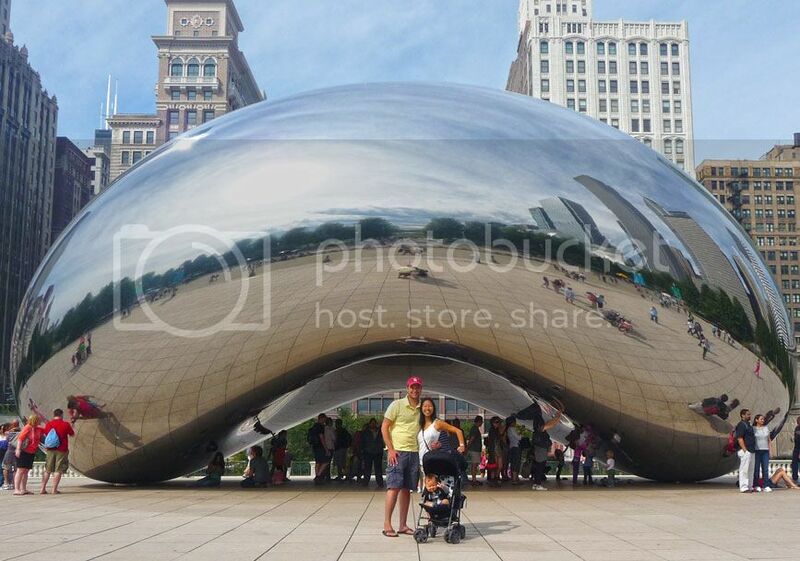 PROS of Chicago with kids: Chicago with kids, is a must with it’s downtown (the Loop) laid out in a grid and easy to navigate, the big wide and clean streets extremely kid friendly and it sits on magnificent Lake Michigan a stunning milky blue-green lake. Cons of Chicago with kids: The 3rd largest American city trailing New York and LA, Chicago is the ethereal baby sibling trying to prove that it is just as deserving. What makes Chicago so appealing is that it does not rest on it’s laurels. It knows it has extremely chilly winters, has some sketchy neighborhoods and it continues to live down each bad movie release from fellow Chicagoan Vince Vaugh. Visit Chicago with kids because: despite some blemishes, Chicagoans are happy to be amongst the top of America’s best cities, carrying themselves with part pride and part humility. Not realising it is quite possibly the best city in the USA. 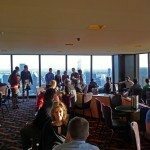 Unlike other observation decks around the world, if you head to the Signature Lounge on the 96th floor of the John Hancock tower, you can admire Chicago from above without paying an entry fee and kids are welcomed. 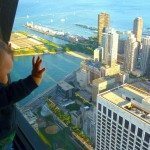 For the price of a drink, your little family can sit by floor to ceiling glass window and admire the spectacular views of Chicago. What struck me the first time was the beautiful Lake, so vast you cannot see the shores of the other side an absolute must when in Chicago with kids. Big crowds, long queues, small foot print way up high in the sky, what can possibly go wrong with young kids? 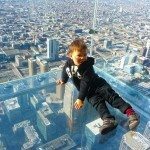 Best be armed with a few tips to make the John Hancock Tower in Chicago with kids an experience rather than punishment. Strollers are permitted in the dedicated lift that goes straight up to the Signature Room. There’s not allot of room up there so you maybe requested to fold the stroller and put it away. Go at dusk for the sunset also the most popular time to catch the city lights. Drinks are expensive at $13-15 each, though better than the $19 entry fee at the Sears Tower. Each adult is expected to purchase a drink, it doesn’t have to be alcoholic (it really should be). Bring snacks and entertainment. Little ones do not sit and admire cityscapes for too long. Try for a South Side view. The South Side has a better view of the lake, it’s worth asking to be seated there. Be prepared for people hovering over you. If you are seated next to a window some people that didn’t get a window seat will tend to hover and take snaps of the view. Check out the women’s toilets with the BEST view in the house, remember to turn the flash off. 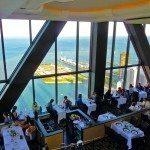 Dining on the 95th floor in the Signature Room is a little pricey, the service is a little slow and the food isn’t all that impressive however the views make up for it. The Great Lakes of America, there isn’t anything quite like it, certainly not in Australia. As a visitor unfamiliar with ocean like lakes, the first thing that knock yours socks off is the the sheer size and colour, the second the decent waves it produces. 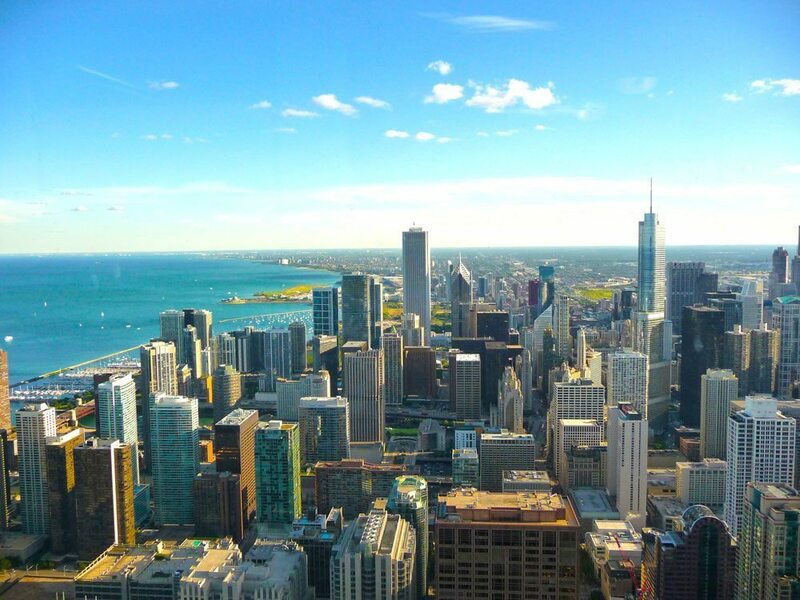 What sets Chicago apart from the rest of the big cities is that it is nestled amongst the shores of beautiful Lake Michigan. Even better, there are 28 miles of lakefront with plenty of sandy beaches, many options within close proximity to Chicago’s downtown (Loop). As someone quite picky with water temps, Chicago beaches aren’t exactly balmy, however at the peak of summer, the 21C (70’s F) average water temperature is refreshing on a hot and humid summers day. There is plenty to do on the lakefront in Chicago with kids without swimming, from walking paths, cycling trails and parklands fronting the beaches for a run, ride or play. The big beach activity in Chicago is beach volleyball, check out or join in with the locals having a game. Though the beaches are closed in the winter (open Memorial Day), the shores of Lake Michigan against the Chicago city skyline is still a sight to behold on a chilly day. The popular beaches are usually set-up with toilets, change areas and concession stands for casual food and drinks. Some have ramp access and parking, though I it can be quite expensive. 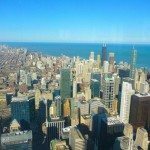 If staying downtown here are some great city beaches within an easy commute or walking distance from the Loop. 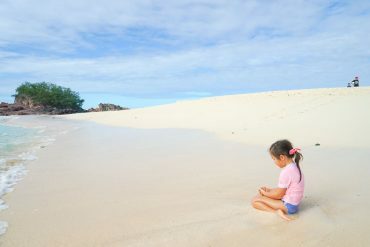 Beaches are free to the public and open from Memorial Day (the last Monday in May) to Labor Day (first Monday in September) from 9am to 9:30pm. All beaches are lifeguard patrolled from 11am – 7pm during the season. Visit Chicago Parks Districts whom manages the beaches for more information including water quality, open hours and the latest events and activities. 1000 N. Lake Shore Drive (at Oak Street). Via CTA Bus #151 Sheridan. Parking is limited. Oak Street Beach is popular due to it’s proximity from the Magnificent Mile. Enjoy building sandcastles on this wide stretch of beach when in Chicago with kids, it even has a temporary outdoor restaurant called Oak Street Beschstro which operates during the summer season. The most popular beach and the busiest as it’s within walking distance from Lincoln Park and the zoo. It is the quintessential city beach to visit when in Chicago with kids with the glorious city the skyline as a backdrop. 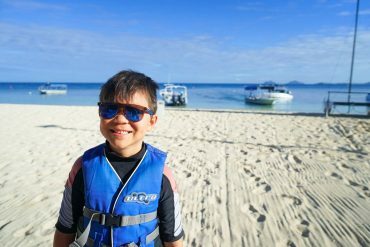 The beach is patrolled by life guards and there is a bar and restaurant called Castaways famous for beachside beers, kids aren’t left out with their own menu. North Avenue beach plays host to the annual Chicago Air & Water Show and well as beach volleyball tournaments. Less crowded than the other city beaches, Montrose Beach is the largest beach in Chicago. Parking is free (as of June 2014) and there’s a dog beach right next door which the kids would love. 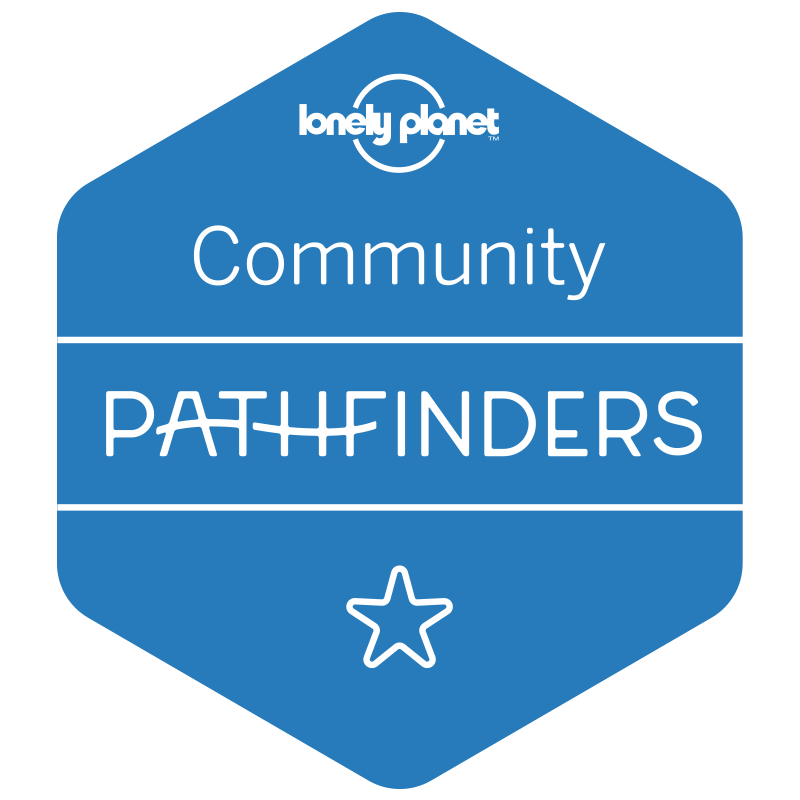 There are picnic grounds a walking path and parklands by the beach. There’s also a new large deck and restaurant attached to the beach house. This is a beach where you also get randoms selling mangoes, ice blocks and tacos, perfect for visiting Chicago with kids. There have been some reviews that say this beach is dirty with shards of glass and parking is hard to find but on the whole is rated highly. The best way to see Chicago with kids is from the Chicago River, which winds it way straight through the city out to Lake Michigan. 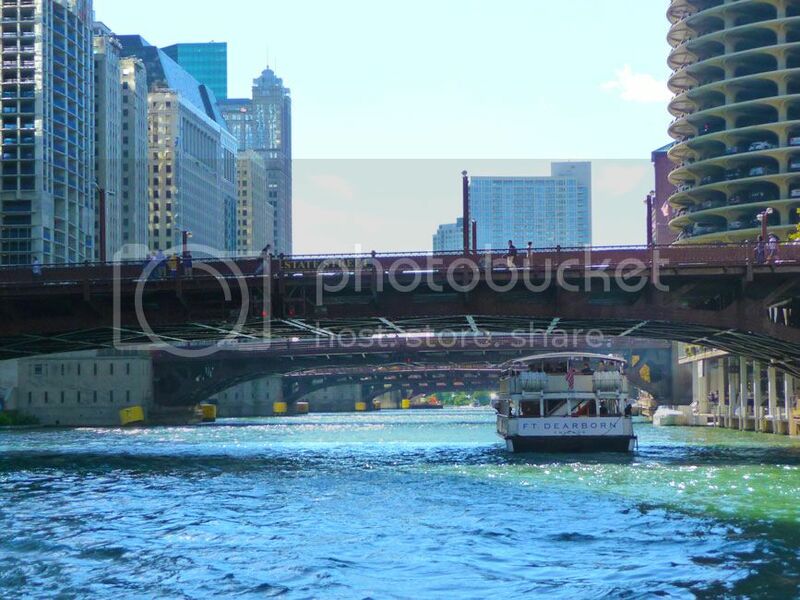 Boat tours slowly traverse the branches of the Chicago river, whilst providing a narrated tour of the city’s history and stories of it’s buildings, which form the famous Chicago city skyline. Boat tours generally operate from Spring to Fall (April – Nov) and run between 75-90 minutes with all modern conveniences and refreshments onboard. Usually there are day and night tours to choose from, kids are welcomed and often free, though adult tickets are quite pricey at USD $40+ each. Please check with specific providers below. The wide, emerald green river strikes a pretty glimmering pose against the skyscrapers that line its passage where a stroller friendly walking trail that hugs the riverfront. Catch Centennial Fountain where every hour, on the hour, the fountain shoots an impressive water arc across the river which lasts 10 minutes. The fountain was constructed 100 years after they famously reversed the flow of the river away from Lake Michigan, much to disdain of it’s neighbours. In the 1900’s raw sewage from the river flowed into the water supply of the city and caused an outbreak of waterborne disease including typhoid. It caused much controversy as St Louis (my US home away from home) were non too pleased of the thought of drinking the disgusting waste from Chicago. The original and some say the best boat tour in Chicago, tours are lead by passionate volunteers (docents) whom provide an entertaining and historical interpretation of the buildings that make up Chicago. Whilst this tour has a heavy emphasis on Chicago’s buildings and architectural history, it remains kid friendly. Chicago with kids got a little easier with kids 3 years and under free of charge, there are day and twilight tours available and the tour runs for 90 minutes. The Chicago Architecture Foundation (CAF) also run Segway, Walking “L” Train and Bus tours lead also by docents. For more information on CAF tours and costs please visit the CAF site here. 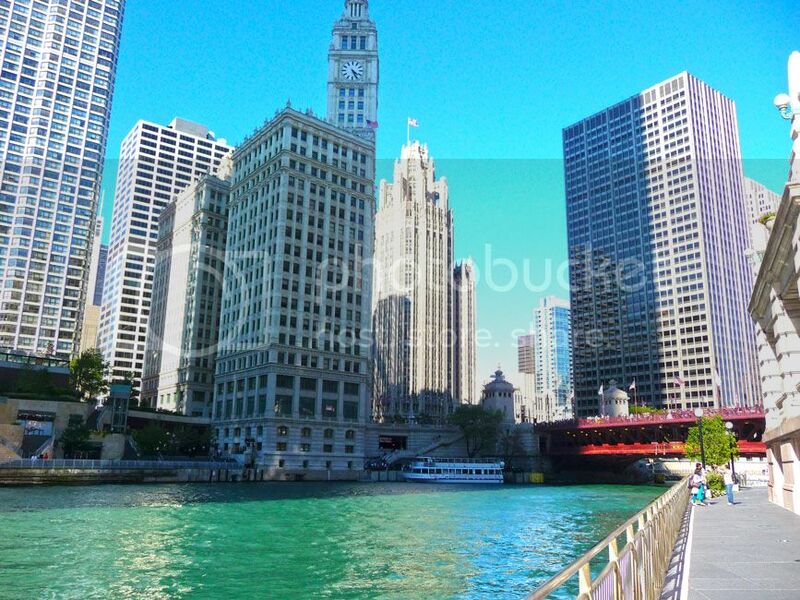 The Architecture River Tour operated by Wendella Sightseeing Boats is a 75 minute tour that also provides interesting details of Chicago’s architectural heritage. Tours depart form the Wendella Dock at Trump Tower and there is a bar downstairs that offers beers and cocktails during the cruise. There is a longer 90 minute cruise that takes you out to the lake via a lock. This could prove long for little ones. Kids 3 years and under are free. 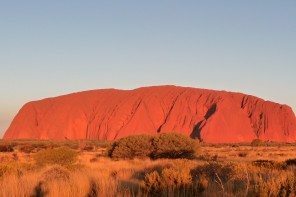 There are both day and evening tour that operate in the warmer summer months from May – September. 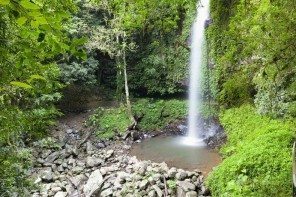 For more information on tours and prices please visit the Wendella Sightseeing website here. Shoreline offers a similar 75 minute Architecture River Tour along Chicago River with a difference as it departs from Navy Pier, which is handy to head back downtown after a day at the Pier. We took the evening tour and it was a unique and wonderful experience to not only see the night lights of the buildings from the river but to learn about the rich history of Chicago. Shoreline also operate a a combined lake and river cruise which is 90 minutes in duration. For more information on tours and prices please visit the Shoreline Sighseeing website here. It’s a little confusing to get to the docks, especially in the dark. The Architecture River Tours do not depart from the pier but from docks just by Gateway Park. There’s also quite a wait for the boat, which is away from the Pier and toilet facilities so make sure you go beforehand, though there are toilets onboard though a must when in Chicago with kids! A more affordable way to see Chicago from the river is to take the water taxis. Though there is no audio commentary, an adult day pass costs $8 ($5 for children) an economical and fun way to cruise around Chicago. For more information on fares and routes please check out Wendella Water Taxis or Shoreline Water Taxis. A few route suggestions include taking; Navy Pier to Museum Campus or Magnificent Mile to Chinatown (transfer at Ogilve/Union dock). Strollers are allowed however there are a few flights of stairs to take you from the street level to the dock, which require someone to assist in carrying stroller up and down stairs. For Chicago with kids boat tours that aren’t leaving from Navy Pier, the ramps to the dock level are on Wacker Drive & Wabash Avenue or Wacker Drive & Wabash Avenue. For more information including mobility drop off section click here. Taxi docks can prove more difficult and may not have ramps available, another person to assist is required. Pack some layers, even though it’s summer it can down quickly and the breeze from the boat can be a little chilly at night. Contact the operator about parking, usually they can validate your parking ticket in nearby garages. 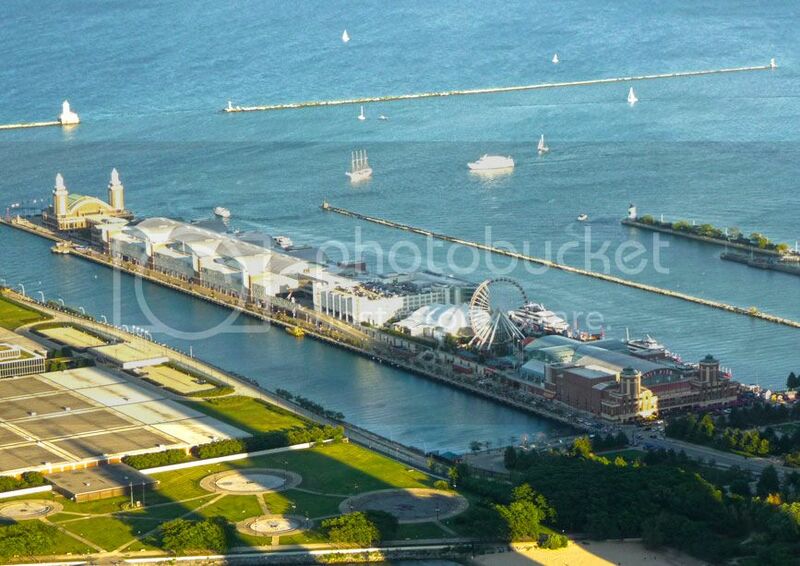 Navy Pier has become an icon of Chicago, especially for families and visitors. 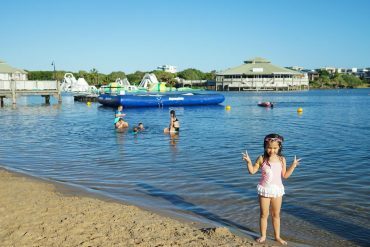 It is extremely touristy and very crowded particularly at night, however it is a children’s wonderland and well set up for kids. The pier is home to a plethora of kiddy attractions including an Imax Theatre, Shakespeare Theatre, and the free Smith Museum of Stained Glass. Navy Pier is quintessential for families in Chicago with kids. 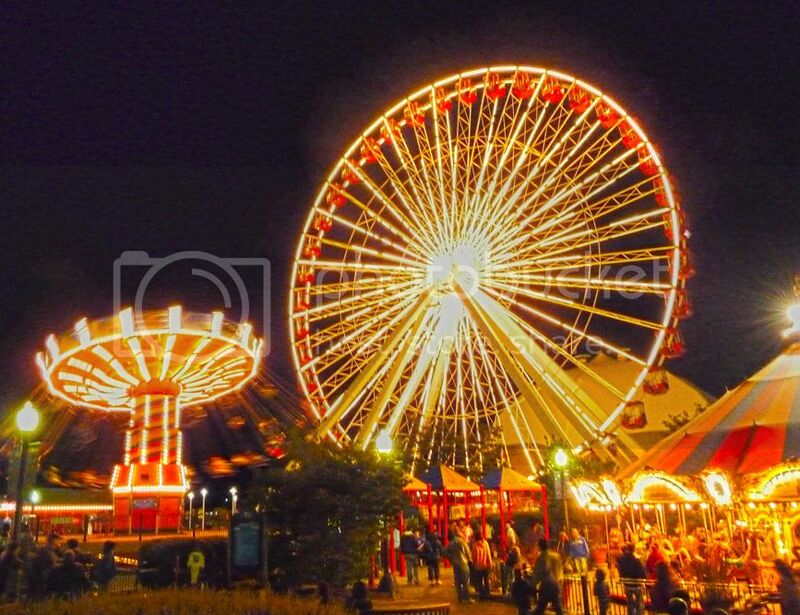 There are kid centric shops and family chain restaurants (Bubba Gump Shrimp) as well as a boardwalk filled with rides including; a big old ferris wheel, funhouse mazes, carousels, mini-golf park and a classic ride and twirl swing. Most boat tours for the river and the lake depart from Navy Pier where you can also catch the fireworks and admire the waters of Lake Michigan for free during the summer. 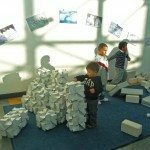 The reason why it’s a Chicago with kids must see is for the Children’s Museum. It’s a great one with many fun and interactive activities for kids of all ages. 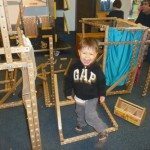 There are busses and firetrucks to drive, things to build, ropes to climb and a great water play area. 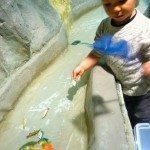 If you a member of another Children’s Museum you maybe entitled to 50% discount as part of the ACM Reciprocal Member Network. Navy Pier underwent a massive multi-million dollar reconstruction, with the finishing touches due late 2018. However changes can be seen with a bigger and better Observation Wheel, a rejuvenated South Dock where the boat tours dock with plenty of seating and open space, a sprawling new plaza with wide open outdoor space with illuminated fountains for kids to splash in. There are new restaurants including DMK Burger Bar, Fish Bar and Big Bowl Express as well as Original Rainbow Conand Tiny Tavern with new restaurants coming soon. Though officially called the Willis Tower, for Chicagoans it will always be the Sears Tower. It wasn’t long ago that it was the tallest building in America and so remains a must-conquer thing to do with the kids. 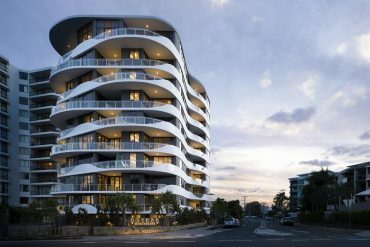 For us Aussies, skyscrapers and lots of them are a novelty. 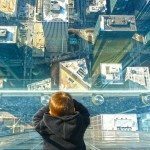 A skyscraper with a glass box complete with transparent glass floor called The Sky Deck, is even more of a reason to go when in Chicago with kids. Though we do have a few impressive Australian skyscrapers some even with sky decks of their own, they can hardly compete against Chicago’s monoliths. Chicago has three of the America’s five tallest buildings. It’s worth heading up, not only for for the sheer height of the building, but the wonderful sprawl that is Chicago and the beautiful architecture of it’s impressive neighbours, standing one next to another. A popular tourist attraction with a slight wait to the top. The wait is broken up by some interesting and interactive museum exhibits, some obligatory green screen photos and a 9 minute video presentation about the history of the tower. Its not a long wait, however be prepared with some kids entertainment and/or bribes. For us it was a 15 minute wait. Sunset and lunch time is a busier period, go before or after this period to maximise your time. The lifts are lightning quick, 60 seconds and you are up on The Sky Deck. Strollers are permitted, though it’s a tight squeeze. Once on the observation floor, there is plenty of space inside to park your stroller and ramps making it very stroller friendly. If you are only planning to head to one attraction, avoid the touts on the street selling the ChicagoPass. It’s actually not a bad ticket if you are planning to also do some other popular Chicago attractions including; The Field Museum, Shedd Aquarium, choice of Adler Planetrium Or Art Institute and choice of John Hancock Observatory or Museum of Science and Industry. If you purchase this, you also get a FastPass up to The Sky Deck, enabling you to jump the queue slightly bypassing the video presentation and ticket counter. Though you still have to line up for the lifts to the observation floor. Purchasing the additional FastPass to bypass the queue at the Willis Tower is not necessary. The queue moves relatively quickly making it manageable when in Chicago with kids. The Magnificent Mile comprises of 10 blocks (one full mile) of American retail paradise and even though you may not be shopping along it, it’s a great walk when in Chicago with Kids. 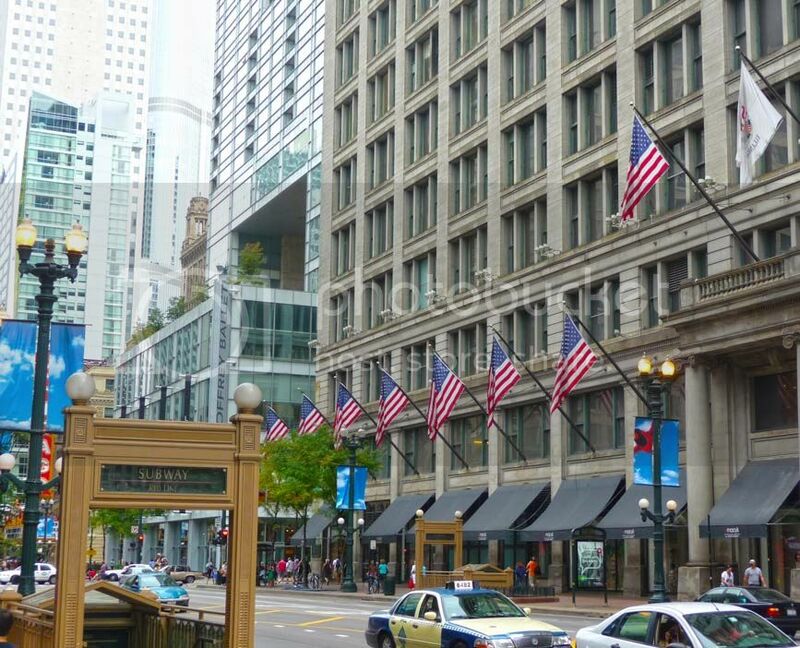 On any given day, this stretch of North Michigan Avenue, has more strolling tourists than locals, it’s an extremely touristy avenue of shopping, from top American departments stores, restaurant chains and high-end retailers. For a full list click here. Be gobsmacked at all the wonderful retailers side by side as I once was on my first stroll along Mag Mile, it’s a shoppers dream and plenty of beautifully dressed store windows to keep kids entertained. With that happy moment etched in my mind, I highly recommend a walk along the Magnificent Mile to witness American consumerism at it’s finest. 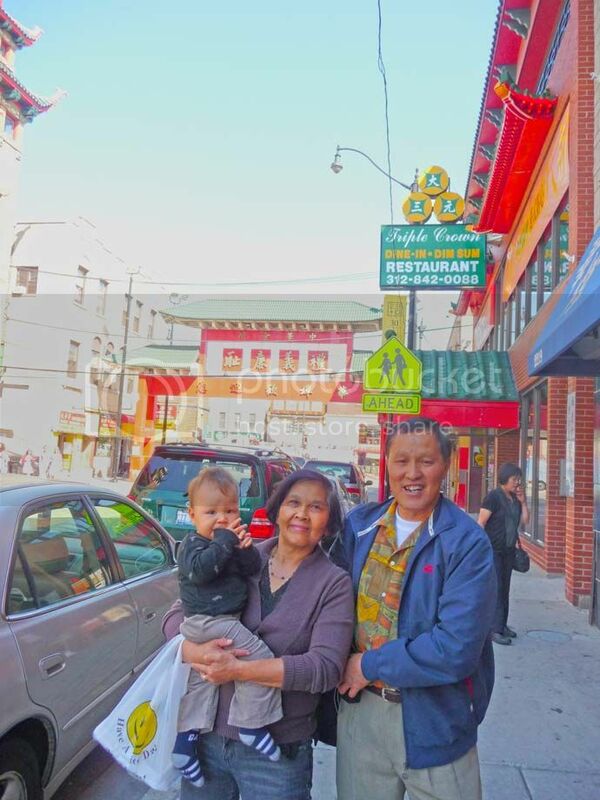 If the trip starts to wane on the little ones, there are toy stores and food vendors to divert the young one’s attentions when in Chicago with kids. 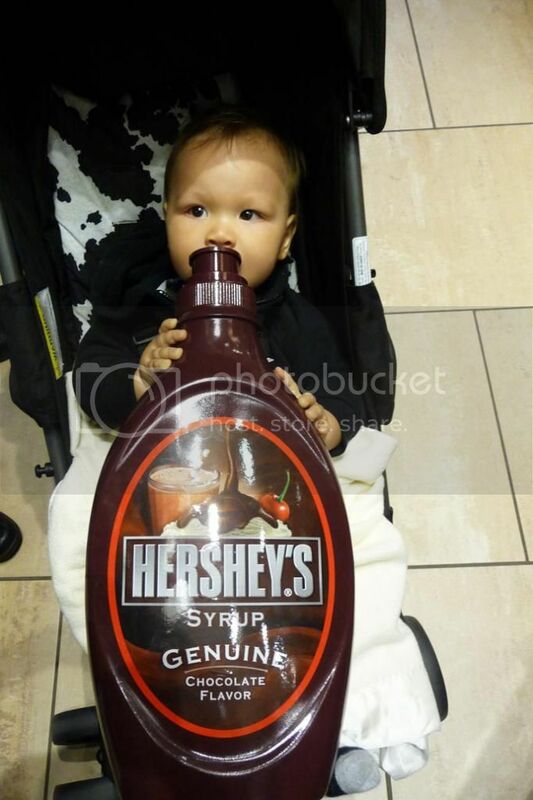 Worth popping in just to see all the Hershey merchandise that you can buy. If you need a Reeses Peanut Butter Cup t-shirt or a giant bar of Hershey Chocolate. This is the place to get it. If you’re wondering Chicago during an infamous icy winter’s day, pop into the Hershey Store, there’s a nice little cafe serving up heartwarming sweet treats including; face-size chocolate cookies, cupcakes, smores, chocolate coffee and hot chocolate. When in Chicago kids, have them take a “Hershey Factory” package, where you have your photo taken for an official Hershey employee photo badge. Kids then don a paper hat and allowed to push buttons and crank dials to release chocolate kisses from a chocolate contraption into a bucket. The experience costs $15 for a small bucket or $20 including the photo badge. One for the Lego fans, when in Chicago with kids head to the huge lego store located inside Water Tower Place, a mall with 7 floors of retail shopping. The Lego Store is filled with Legos of every shape, colour and size. There are varieties of lego that aren’t easily located anywhere else including Star Wars, Ghostbusters and Minecraft. It’s a Lego lovers dream. 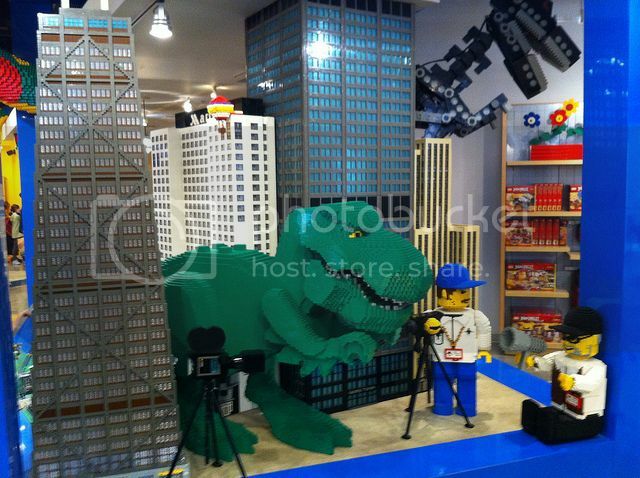 Kids will be amazed at the Lego sculptures with rotating window displays, past displays include life-size Darth Vader and the Chicago City Skyline dwarfed by Godzilla. Inside you will find more Lego creations including King Tut, a 3D dragon hanging from the ceiling, Chicago’s iconic buildings including the Sears Tower and John Hancock Center. For Star Wars fans there is a dedicated area with life-size Lego creations of R2D2 and interactive Star Wars displays. The store also has a play area where kids can build lego creations. 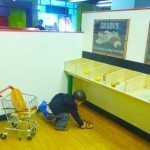 Affordable items to buy include the Lego Pick a Brick wall where kids can customise their own lego selection from lego bins on the wall. For a few dollars you can also Build Your Own Lego Man in-store. Fair warning, it does get extremely busy, though kids do not seem to mind. Unfamiliar with the whole American Girl doll obsession? 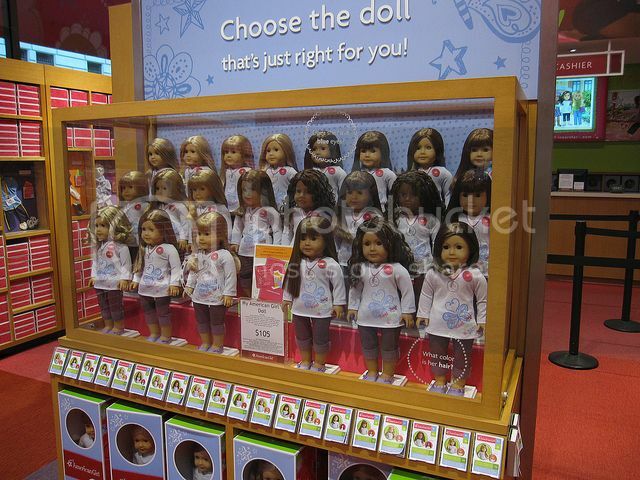 Pop into the American Girl Place for a glimpse into a very expensive doll phenomena when in Chicago with kids. These American Girls are life-like 18 inch dolls with 40 different hair, skin and eye colour combinations which you can choose from. You can further customise your doll by choosing different outfits and accessories. Matching girls and doll outfits can also be purchased. Dolls average $110 USD each, not to mention additional accessories such as dolls pet dog $28 and pets dogs collar $16. Don’t forget clothes, raincoat for a wet day $24 and assortment of furniture like a bed for $175. This is a testament to a marketing genius. The Chicago store is American Girls flagship store and is sprawling over two levels. There is a hair salon to style your daughter and your dolls hair, you can also get your dolls ears pierced and there is a cafe which offers entertainment, brunch, lunch, dinner and tea parties. Bookings are essential for the cafe and salon. Prices aside, I think any little girly girl will love it. Right in the heart of downtown Chicago, surrounded by skyscrapers is Millenium Park. 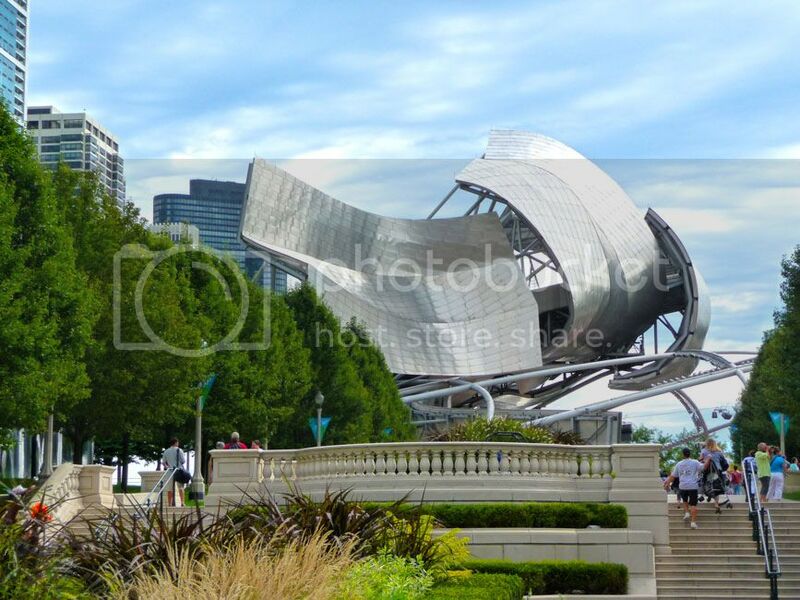 A superb and arty urban space featuring the much photographed Cloud Gate better known as “The Bean”, the Pritzker Pavillion and BP Bridge designed by renowned architect Frank Gehry, the Lurie Garden and The Crown Fountain. There are wonderful walking paths, wide open spaces for kids to run and beautiful lawns to picnic, perfect for Chicago with kids. On a hot summers day, Chicago with kids doesn’t get any better than gravitating towards Crown Fountain, two 50 foot glass LED towers which act as cascading fountains pour water into a shallow pool below. 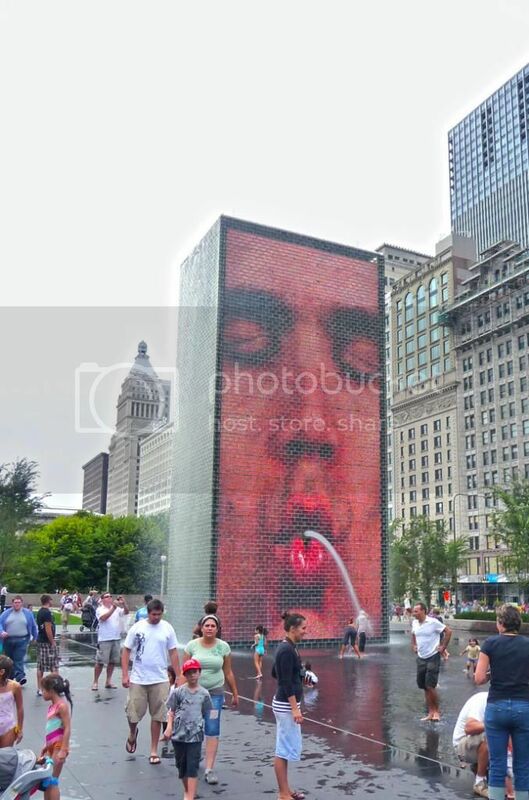 The two inward facing sides of each fountain randomly projects one of 1000 residential Chicagoans faces, each face animates for roughly 5 minutes and on the last minute they pucker up and water shoots from their pursed lips, like modern gargoyles. Kids love it and make a point to get completely saturated. At night the towers do not shoot water fountains, they illuminate different colors on each side and project images of waterfalls and streams. Weather permitting, the water operates from May to October. During the winter months, the towers are a little more sombre, water is turned off and the faces do not pucker up in readiness for the spout of water. 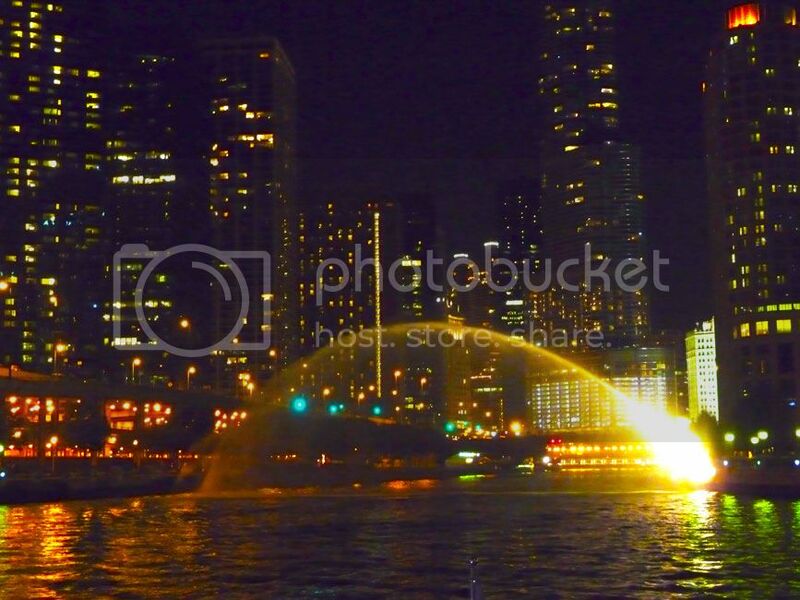 Crown Fountain puckers up and spurts out water – I love Chicago! Millenium Park is in a corner of the large Grant Park dubbed Chicago’s Front Lawn. It plays host to excellent music festivals and because these festivals are on the sprawling grounds of Grant Park right the middle of the city and hosted during the day. 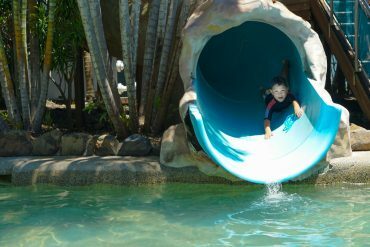 It’s perfect for kiddies to join in the fun. The most popular festival has to be Lollapalooza and can be done when in Chicago with kids, though families will probably be seen on the park outskirts with plenty of toys and picnic blanket. There are events either side of Lolla that have less crowds and equally good music. Festivals with less teenage angst include; Jazz Festival, Blues Festival, Chicago Gospel Music Festival and Taste of Chicago a major foodie event. Check out festival events and schedule here. After checking out Millenium Park in Chicago with kids, walk a little further along to see the famous Buckingham Fountain, built in 1927 in a rococo wedding cake style. The water displays run every 20 minutes and operate from April to October. At night, there is a light and water display from 9-10pm. Each time I see it, I have the Married with Children theme playing in my head. 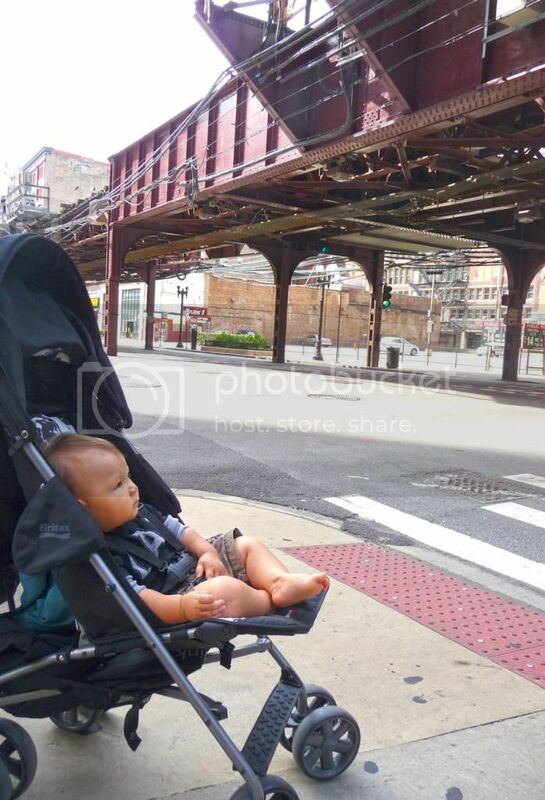 A walkable, green, stroller friendly parcel of land sitting by Lake Michigan south of Grant Park forms Museum Campus and great for when visiting Chicago with kids. 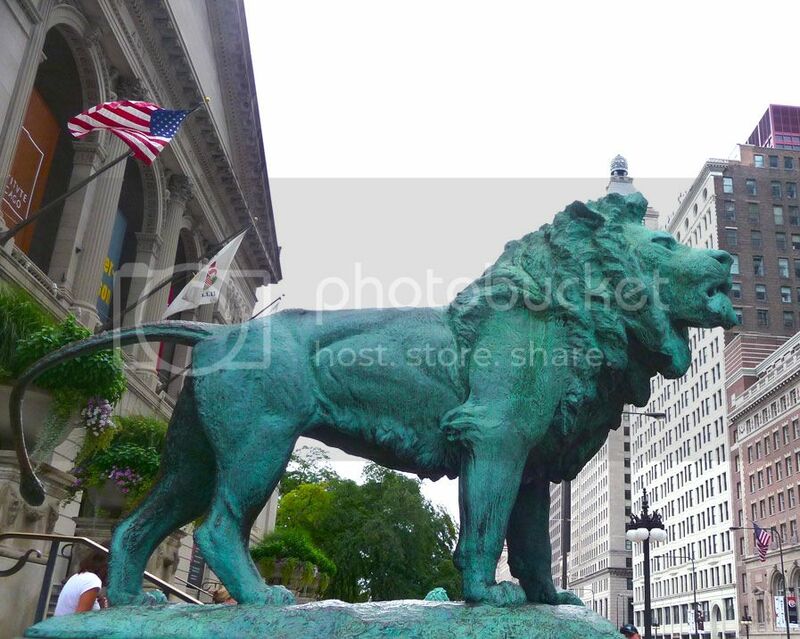 A collection of museums including; Adler Planetarium, Shedd Aquarium and the Field Museum of Natural History. It’s also home to Chicago Bears football stadium Soldier Stadium. Though you don’t want to be “museumed out” visit at least one world class museum, when in Chitown with kids. If you had to pick just one museum in Chicago for kids, choose The Field Museum of Natural History. The stars of the show are dinosaurs, they have an impressive collection, with dinosaurs from every era, the most famous of them all is Sue a perfectly preserved, almost complete T-Rex fossil. The museum is large and epansive and with many excellent exhibitions to take in, plan your trip as it’s hard to cover the entire place in one day. Tsavo Man-Eaters the two maneless male lions were shot and killed by John Henry Patterson after they started preying on humans, workers building a train over the Tsavo River. The story has been made into several movies, the most recent adaptation was The Ghost and The Darkness (the names of the two man-eating lions) in 1996 starring Val Kilmer. After 25 years as Pattersons floor rugs, they were sold to the Field Museum where they reside today. Inside Ancient Egypt offers a world of ancient Egyptian artifacts including 23 human mummies, an opened Egyptian tomb you get into and one mummified cat. Crown Family Play Lab American’s do hands-on kid centric museum play areas really well, the one at the Field Museum is no exception. Kids can dig up dino bones, dress up as animals and make music on exotic instruments. Open to kids ages 6 and under on Monday, Thursday and Fridays from 10am to 3pm. Pre-registrations required. A great way to get around and tour Chicago with kids is from the L a series of elevated trains. Take a ride with views over rooftops, of the river, skyscrapers and city buildings up close. Kids under 7 ride free and adult fares are $2.25, making it a cheap and entertaining way to see Chicago. Not all of the L trains are elevated, give the Red and Blue lines a miss as they connect the North and South by underground tunnels through the loop, so you won’t get to see anything. For pure sightseeing when in Chicago with kids, the easiest way to experience the L is to ride the Loop continuously around a circle on the Pink and Orange Lines. Board the Pink Line at Madison and take to take it to Quincy (chosen as it was restored to it’s original 1897 appearance). At Quincy, there is no need to change platforms, stay on the same platform and transfer onto an Orange L Train to continue the Loop around to where you started again. As you have not exited the system, one single fare applies. The Pink and the Orange lines both travel clockwise around the loop. You can ride it for as long as you like, by transferring from Orange to Pink before Adams station or Pink to Orange before Washington Station. The Pink Line doesn’t keep going around the loop, it exits after Washington south of the Loop. The Orange exits north of the loop after Adams. No trains make an entire circle. The loop takes approximately 10-15 minutes to circle around. An alternative to riding the Pink Line is to take the Brown Line from Randolph towards Kimball. Transfer at Merchandise Mart, cross the platform and take another Brown line train back to Randolph. Riding the L during the day is safe in Chicago with kids, be alert and know ahead of time which lines to take and in what direction (don’t accidentally go way south on the red line). Be mindful of your belongings and watch your personal space. Theft is probably the riskiest thing as a bright eyed tourist attending to kids. Keep your valuables locked away in the hotel safe or hidden under layers i.e. phone and camera. Avoid riding the train late at night and dimly lit transit stations and overpasses. White Sox fans might balk at the thought of heading to see the Cubs play. However, Wrigley Field gets the nod for nostalgia. As well as being home to the Cubbies, the baseball stadium is steeped in history and an icon of Chicago. 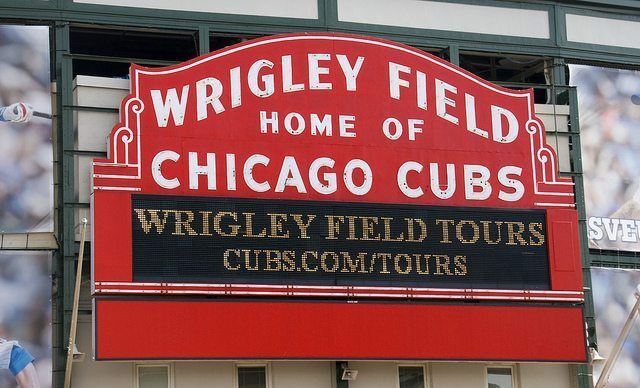 If you are visiting during baseball season, take the kids to a ball game at the Friendly Confines and see the ivy covered outfield and watch the score from a hand-turned scoreboard, quite the unique experience when in Chicago with kids. Whilst taking young kids to any major sporting event can be challenging, the atmosphere will keep the kids at bay for a little while, break up the innings with long walks around the beautiful stadium. There’s also lots of tasty concessions you can ply the kids with, including; Decade Dogs, fairy floss, popcorn, pretzels and ice cream to name a few. With young kids, there’s no need to stay the whole game, go late and leave early depending on how the kids are going. At least you get to experience Wrigley Field with the family. Baseball season is from April – September. For home games check out the Chicago Cubs Schedule. 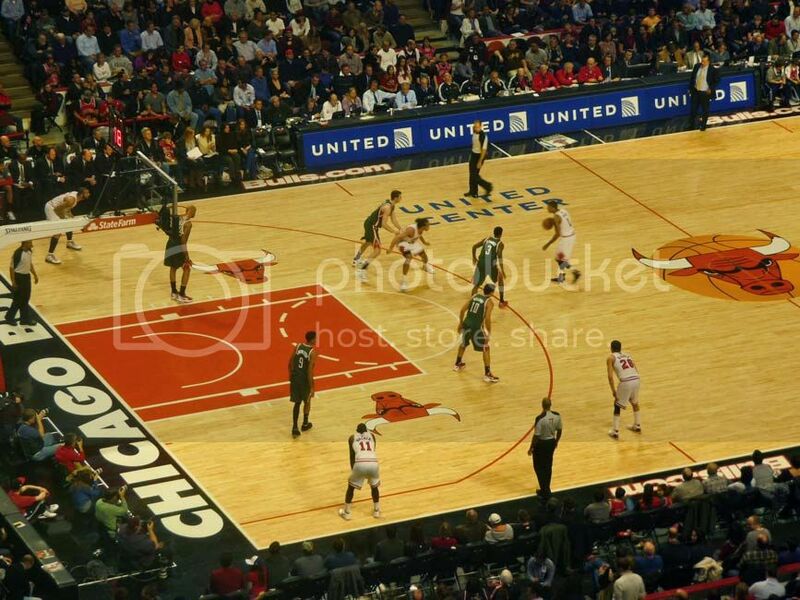 If you’re in town when the Bulls are playing, checkout a home game at the United Center in Chicago with kids. This is not just a basketball game, kids will love the sensory overload. There’s huge crowds, music, dancing, half time entertainment with contortionists and acrobatics, and of course the fast moving basketball game starring the beloved Chicago Bulls. There’s also the food, nachos, beer, hotdogs and pizzas. I was pregnant with Layla and recall that yellow gooey nacho cheese to be divine. All this entertainment comes at a hefty price, and the cheaper ticket options are often high up in the nose bleeds. We got ours at Stub Hub, a legitimate place to score some tickets. 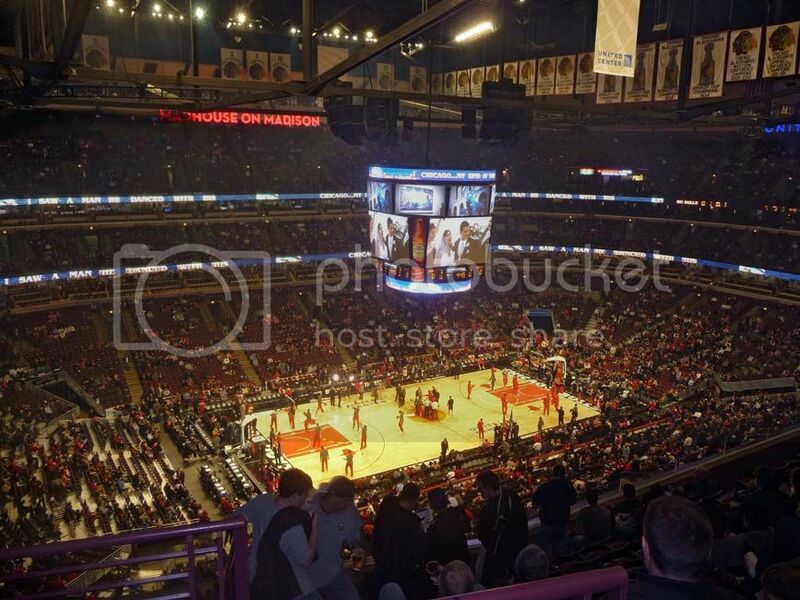 Be mindful around the United Center after the game, stick with the crowds that are also heading back to town. Unfortunately, It’s easier to cab it to the game and a little trickier to get a cab back. Though the area is being rejuvenated it’s not the safest. This doesn’t mean you have to jump at every shadow. Be aware of your personal space, know the direction you are heading, try and flag down a cab when you can or call for an Uber. Basketball season generally runs from October – April. For home games check out the Chicago Bulls Schedule. Get a glimpse of how the locals live when in Chicago with kids and wander around the walkable neighborhood of Wicker Park and Bucktown. This is the original hipster neighborhood of Chicago, famous for it’s bars and nightlife as well as eclectic bookstores, art galleries, boutique clothing shops and great places to eat; from greasy hole in the walls, gastropubs to Michelin star restaurants. As trendy as it is for single twenty-somethings, many young urban families, not quite ready to move out to the ‘burbs also call this area home and you can pretend you’re just as hip when in Chicago with kids. Take the CTA Blue Line and get off at Wicker Park (Damen) you can also stop at West Town (Chicago, Grand) and Ukrainian Village (Division). From here you can explore the neighbourhood like a local. For a small fare you can cab or Uber it quite easily there and back. 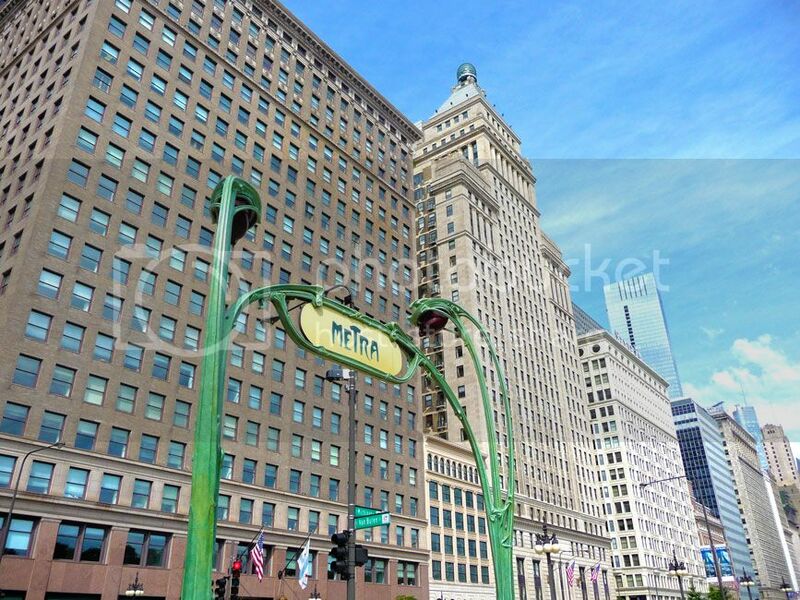 Take a snap of the Flatiron Arts Building (N Milwaukee Avenue) an icon of the area, the building itself is home to some popular art galleries. Have a play at Wicker Park with a great little playground, dog park and splash area. There’s also a beautiful fountain dating back to the 1800’s. Take a stroll down Damen, Milwaukee and North Avenues with a mix of independent clothing stores and premium retailers such as Marc Jacobs. Around here is also where you will find kid friendly, wi-fi ready bakeries and coffee shops. Dine at the many options available, food central starts at W Division Street. Confused? Check out the top places to eat in Wicker Park / Bucktown here. Though gentrified by hipsters and now home to a more affluent crowd. The neighborhood can still be sketchy and borders some less desirable areas. Unfortunately there are invisible boundaries, do not go west past Western Avenue and do not go North of North Avenue when in Chicago’s Wicker Park and Bucktown with kids, avoid unlit streets, alleys and viaducts and take care of personal belongings, particularly after dark. Generally families are safe, especially during the day and more of a precaution for being a smart traveller. Lincoln Park is a great neighborhood to drop into when in Chicago with kids, with boutique clothing stores, trendy bars, clubs and restaurants. The park itself if a huge 1,208 acres of parkland. The outlook is picture perfect, offering superb views of the Chicago city skyline, ponds and wide green spaces. The Germans and the Polish originally settled in this area and is filled with historic landmarks, green leafy streets and heritage homes with European influences. It’s also home to DePaul University and some great museums including Chicago History Museum. Lincoln Park is home to the Lincoln Park Zoo which is free and worth a look when in Chicago with kids. Spend a few hours checking out wonderful animal exhibits. The popular highlights including the new Gorilla habitat, the polar bear, lions, tigers and the American animals you don’t get to see back home including; ardvarks, beavers and moles. Kids will enjoy the Farm in Zoo, the Children’s Zoo or for a small fee can ride the train or the beautiful carousel. Whenever we are in a big US city, we always head to its Chinatown to check it out. The Chicago Chinatown is worth a quick look. Bare in mind, it is out of the way and borders some questionable neighborhoods. However if you stay a couple of blocks of the main part of Chinatown (318 West Cermak Ave, Chicago Il, Chicago), during the day it is safe. You can catch a Water Taxi and take a small walk through new developments to get to the main part of Chinatown or Cab it from downtown when in Chicago with kids. Alternatively Uber or catch a cab to Chinatown and back. Not the prettiest or busiest Chinatown but has some decent dim sum. We dined at Triple Crown and we as a self proclaimed Dim Sum expert, we rated it quite highly. Chicago is very proud of it’s Irish ancestry, so much so that they dye the river green to celebrate St Patrick’s day on March 14. There are many celebrations going on downtown and in the Irish neighborhood strongholds of Beverly (aka the Irish South), Bridgeport and Mount Greenwood. There’s also a very popular St Patrick’s day parade with hoards of people embracing their Irish heritage, because everyone is Irish on St Patricks Day. Whilst most festivities at local Irish pubs are focussed on green beer, there are still plenty of plenty of things to do in Chicago with kids on St Pat’s day, from the famous river dyeing, annual St Patricks Day Parade, Celtic dancing, Greening of the city where famous icons around the city is bathed in green lights and local neighborhood parades. Not in town during St Patty’s Day? 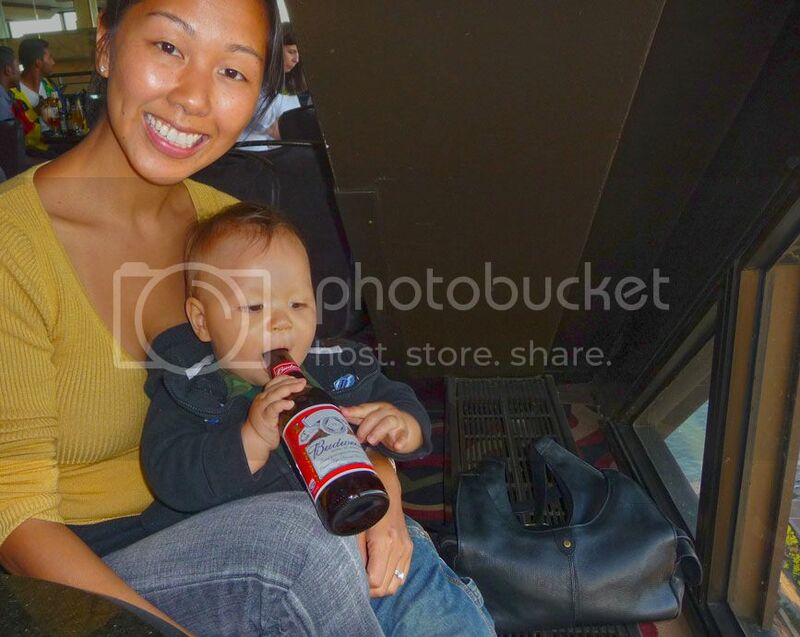 Not to worry there are still great family friendly Irish Pubs in Chicago. Buddy Guy’s Legends Buddy Guy’s Legends is a blues bar and restaurant owned by blues legend Buddy Guy. 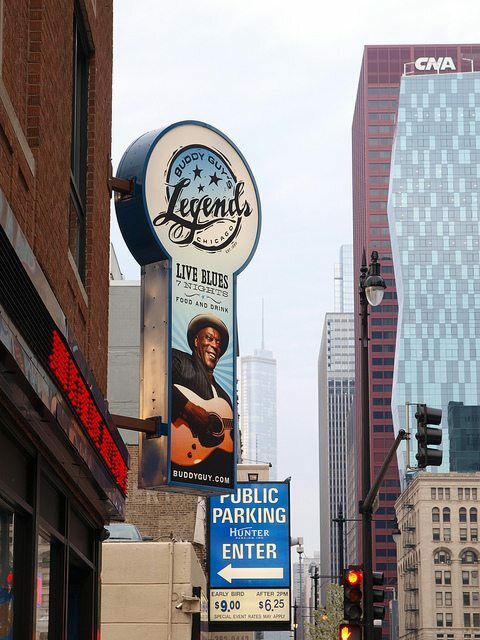 It’s a famous blues establishment that has hosted stars such as Stevie Ray and Bo Diddley. 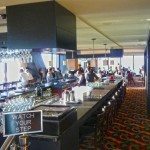 Kids under 21 are welcomed until 8pm every night with lunch sets starting from noon-2pm Wednesday through Sunday, dinner sets from 5:30pm on Friday, 6pm Saturday and Sunday has a Jazz Party from 5-pm. House of Blues Gospel Brunch Every Sunday, House of Blues offers a Gospel Brunch which caters for the whole family and infants are free. Listen to some legendary gospel music at the House of Blues and enjoy an all you can eat American buffet, which includes chicken and waffles. House of Blues sometimes has concerts that cater for all ages. Generally, kids are welcomed until 8pm. Check out the site for more information. Shaw Crab House Listen to some blues whilst tucking into some seafood at Shaw Crab House. There is live music from 7pm in the Oyster bar from Sunday to Thursday. Jazzin’ at the Shedd Whilst not exactly blues, kids can listen to it’s close cousin Jazz at the Shedd Aquarium. Every Wednesdays there is Jazzin’ at the Shedd with live Jazz entertainment. This event starts from June 25th to September 3rd, from 5pm-10pm. Chicago Blues Festival Chicago hosts a free Blues festival helped over the summer in Grant Park. Kids get to experience iconic blues artists and musicians out in the open. Last year it was held from June 13-15th. For more information check out City of Chicago. Try Chicago’s famous deep dish pizza. It is as it’s described a thick pizza (more pie than pizza) with meat, topped with layers and layers of cheese and sauce. To hold the pizza together the crust encircles the fillings by wrapping around the sides. Extremely filling, very unique and tasty in moderation. 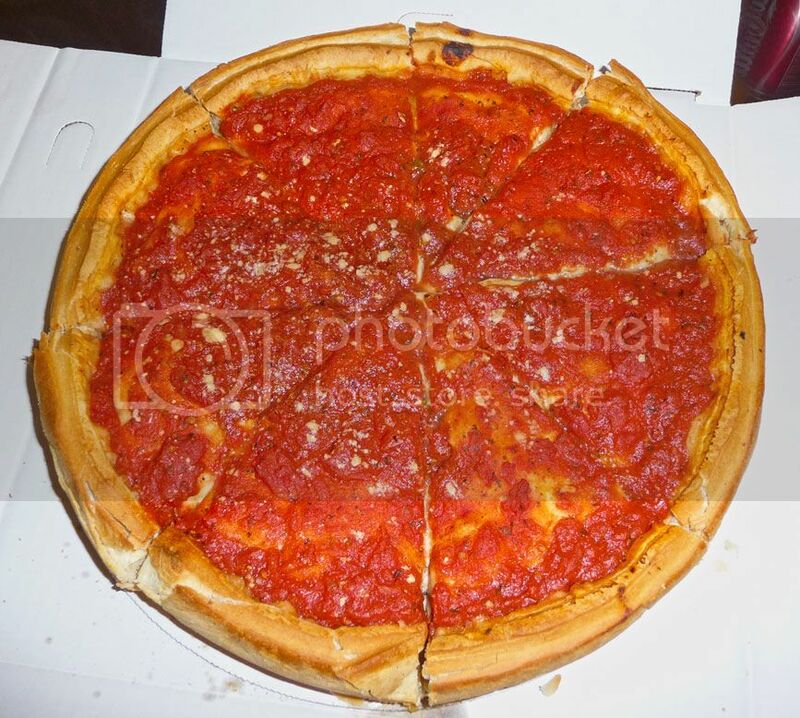 Chicago with kids must eat – Our Giordanos deep dish pizza, delivered to our hotel room. Handy for napping kids. A contentious topic, do Chicagoans actually eat deep dish pizza? It’s kind of like asking whether the Chinese really eat Sweet and Sour Pork? Chicagoans may only have a slice of deep dish pizza when Out of Towners are visiting, but they do enjoy and still eat it. I think locals want to let you know that they are not all deep dish pie gobbling people, that some are indifferent to it and also enjoy thin crust pizza. Regardless, it’s worth trying the iconic pizza of Chicago. The most popular and family friendly downtown pizza restaurants are: Giordanos, Pizzeria Uno and Lou Malnatis. As for Chinese eating Sweet and Sour Pork, the answer is no. 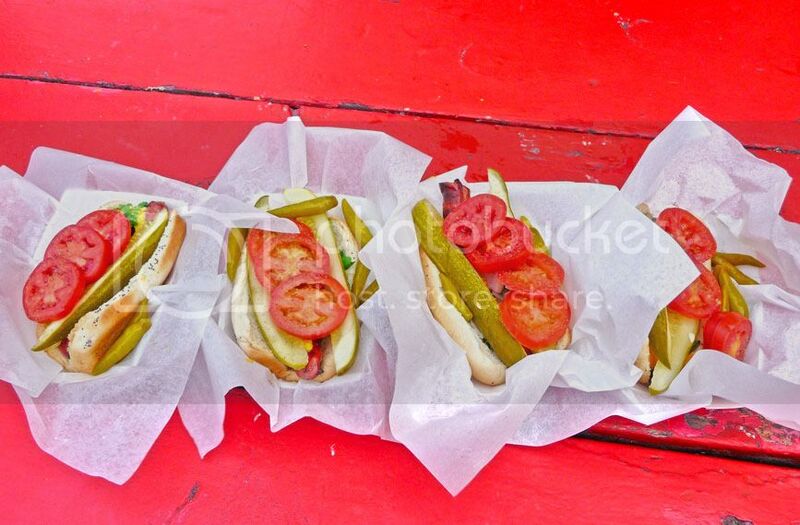 A frankfurt dragged through a salad garden is what best describe the classic Chicago Dog. The key characteristics of a Chicago hot dog is an all-beef frankfurter on a poppyseed bun topped with mustard, relish, onion, tomato, pickle and celery salt. Hold the ketchup. There are many variations to this dog, but the foundations remain the same. 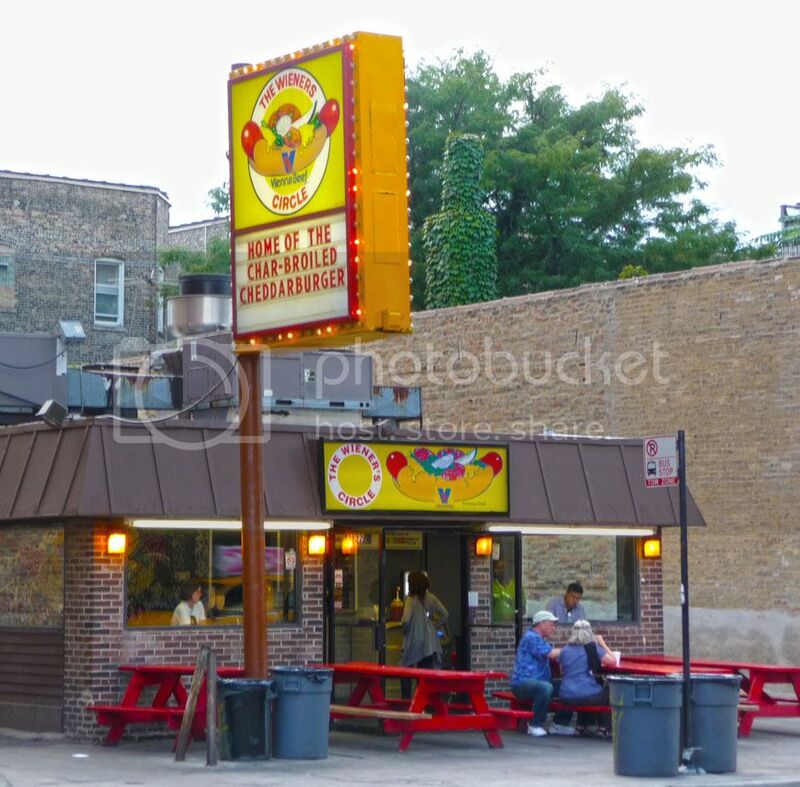 Popular places to try the famous hot dogs are: The Wieners Circle, Gene & Judes, Hot Dougs and Superdawg. These are tasty things, moist slices of cooled roast beef on an Italian roll (soft chewy roll), dipped in the beef gravy made from the meat juices and topped with pickled hot peppers (giardinera) called “hot” or sweet roasted green peppers called “sweet”? Popular places to try the famous Italian sandwiches are: Portillos (where you can also get hot dogs), Mr Beef on Orleans, Als Beef (Near North Side) and Al’s No. 1 Italian Beef. What’s the #1 hotel in Chicago? 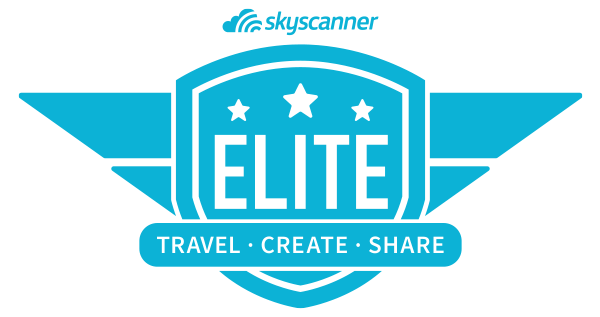 Read reviews & find hotel deals on TripAdvisor! This story comes courtesy of Southern Cross Travel Insurance. 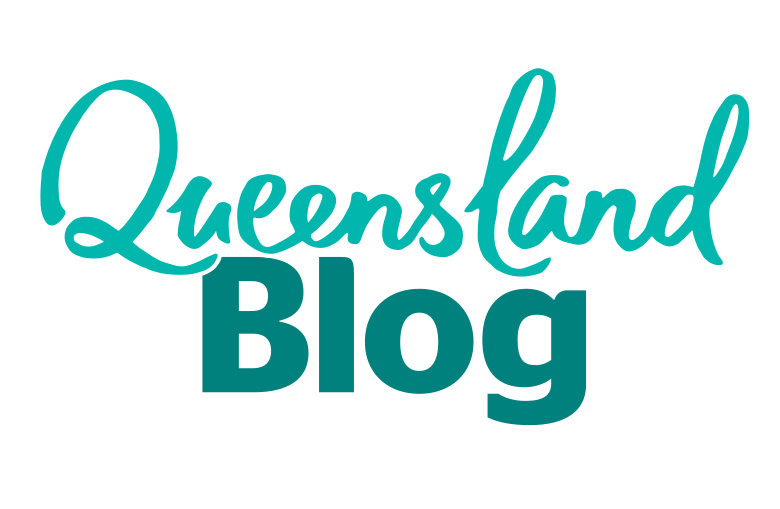 Although I have been paid to write this post, all opinions expressed are my own. I am one that just trust Mr Engineer got it right and the glass won’t crack under his 14kg weight. 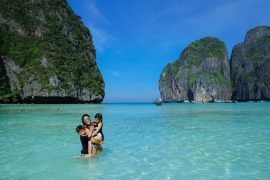 I swear your blog is THE best travel with kids blog! AMAZING! There’s so much I love about this! The beer bottle – hilarious. The children’s museum looks amazing! The Sky Deck looks a little to freaky for my liking. Lego store? 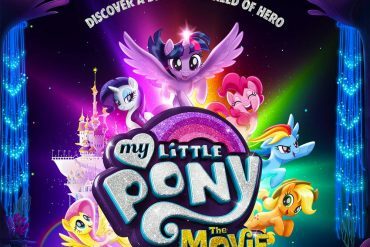 (Everything is) AWESOME! Classic hot dogs… perfect. So my friend, when are you coming to Edmonton, Alberta? Oh Jennifer, thank you SO much. I can hardly say it’s amazing or the best. Totally gushing here.